Our 2018 Spring Conference in Olympia was a fantastic event. I am always re-energized by being around so many passionate people working to create the best buildings and homes possible. I am also excited to be sharing my first letter with you as the new President of Passive House Northwest. Tim - on behalf of all Passive House Northwest members, thank you!! Thank you also to our past board members who are stepping down after so many years of amazing service and who are now moving into an Advisor role within Passive House Northwest. Our organization would not be where it is today without your endless dedication. Our new Advisors are: Albert Rooks, Graham Wright, Markus Barrera-Kolb, Maren Longhurst, and Michelle Jeresek. I am very excited to welcome our brand new board members Brittany Porter and Dirk Larson. They are joining our returning and re-elected members: Alex Boetzel, Dan Whitmore, Joe Giampietro, Josh Salinger, Mike Steffen, Tad Everhart, Tim Weyand, Wayne Apostolik, Zack Semke, Sarah Gundermann (Treasurer), Scott Kosmecki (Secretary), Beth Campbell (Vice President), and Mike Fowler (President). Our membership is strong and growing. 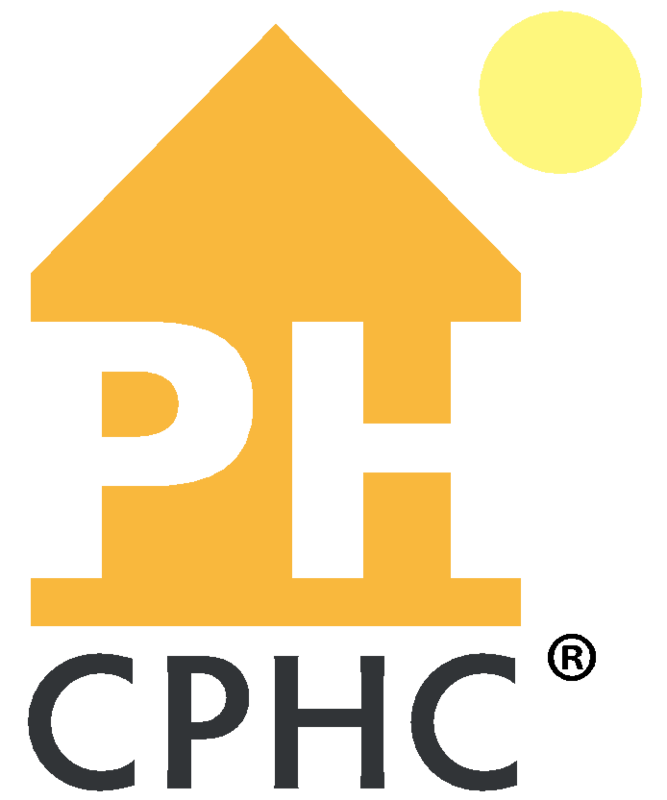 Passive House Northwest has been able to take large strides forward with events and milestone accomplishments because of the active participation of our members. 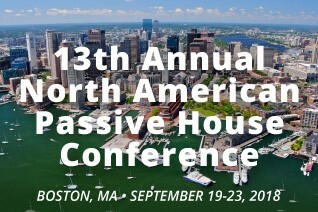 Passive House recognition continues to grow locally and globally. The United Nations has outlined the critical role Passive House can play in achieving the UN Sustainable Development Goals. Together with similar Passive House organizations across the country and around the world, we will work to create zero net carbon buildings and homes. As part of that work, last week Passive House Northwest submitted our very first energy code proposal to the state of Washington to improve airtightness in commercial buildings and within multifamily buildings to provide balanced heat recovery ventilation. There is a lot more to come and to do as we keep working to create the best buildings and homes possible. I look forward to taking this journey with you! ShiftBuilding brings mechanical systems and construction professionals together to share and learn new applications that heat, clean air, and warm water more efficiently than ever before. Learn what these systems are doing to the building market today and where to find them at this symposium. Featured speakers Shawn Oram of Ecotope and Skander Spies of McKinstry present two one-hour AIA accredited Learning Unit Sessions, also accepted as ASHRAE Professional Development Hour sessions. Together with workshop tracks by representatives, the sessions will connect you with information about products for high performance construction. Hear case studies from these experts and connect with UW students graduating into the mechanical engineering field. The event begins with a networking opportunity with trade associations and additional partners. Not to be missed, get the scoop on the future of green building May 30. The Venue: UW-Bothell has a steadily growing Science, Technology, Engineering and Mathematics program. The event will be at Mobius Hall, adjacent to the UW Bothell Campus Campus. Readily available from downtown Seattle by public transit (ST 522). 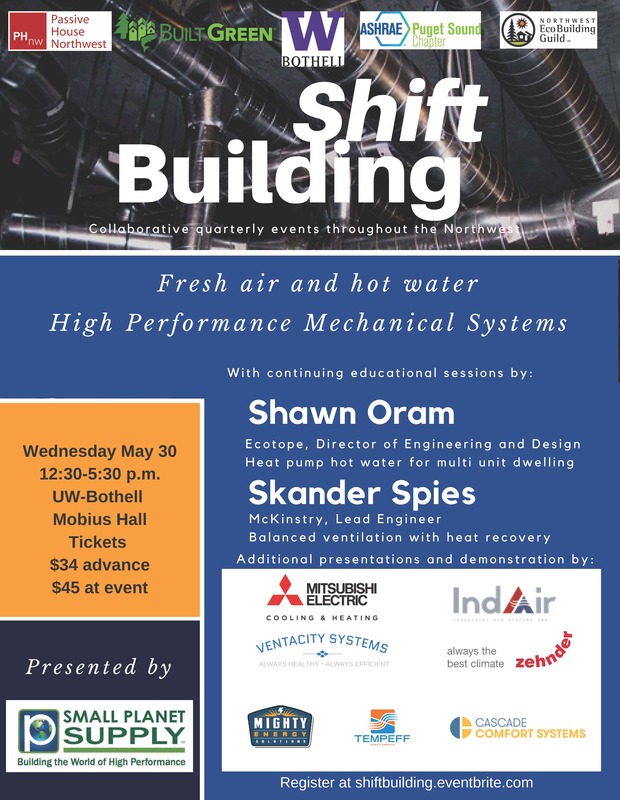 The event will be in the afternoon from 12:30-5:30 p.m.
Co-Sponsored by Northwest Ecobuilding Guild, Passive House Northwest and our industry partners.